Last week, our Supermums Graduate Jen joined Muriel Molloy on a Salesforce Masters Series Webinar, sharing her top tips on how to make your stakeholders dreams come true, along with some great general Salesforce advice! 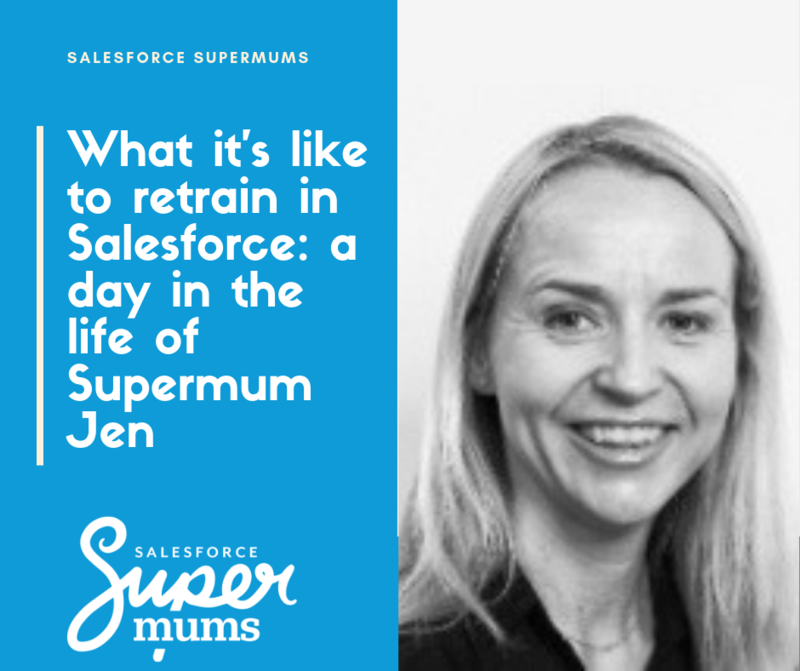 Jen graduated our Supermums Programme in 2017, and has since progressed her career in the Salesforce ecosystem. She is currently in the role of Sales Operations Executive at Bluebay Asset Management. Whether you are new to Salesforce and wanting to learn more about being an admin, or if you’re experienced in Salesforce but looking to learn new things and share ideas – this webinar is a great listen! You can watch the recording below! Interested in joining the Supermums Programme? This entry was posted in Case Study, Events, Salesforce, Technology. Bookmark the permalink.